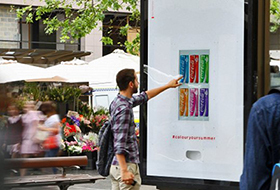 Baton Rouge, Louisiana – July 2, 2015 – Lamar Advertising Company (Nasdaq: “LAMR”) will release its second quarter ended June 30, 2015 earnings report before the market opens Thursday, August 6, 2015. Lamar will host a conference call on Thursday, August 6, 2015 at 8:00 a.m. (central time) to discuss the Company’s results and answer questions relating to company operations. 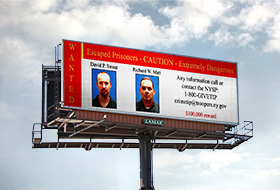 The New York State Police today announced that more than 50 digital billboards in New York, New Jersey, Massachusetts and Pennsylvania are featuring photos and information about the two men who escaped from the Clinton Correctional Facility in Dannemora, New York. Lamar Advertising Company donated space to help police in their continuing effort to notify the public of the escape and generate new leads in the case.